© 2004 By Kathleen Kemsley, adapted from a sample chapter for a book proposal that never sold. The colorful chunks of stone which give this national park its name began their life as tree trunks about 225 million years ago. The warm, humid climate of ancient northern Arizona supported a flourishing population of trees, giant ferns, horsetails, and animals such as dinosaurs, fish, crabs, snails, and clams. 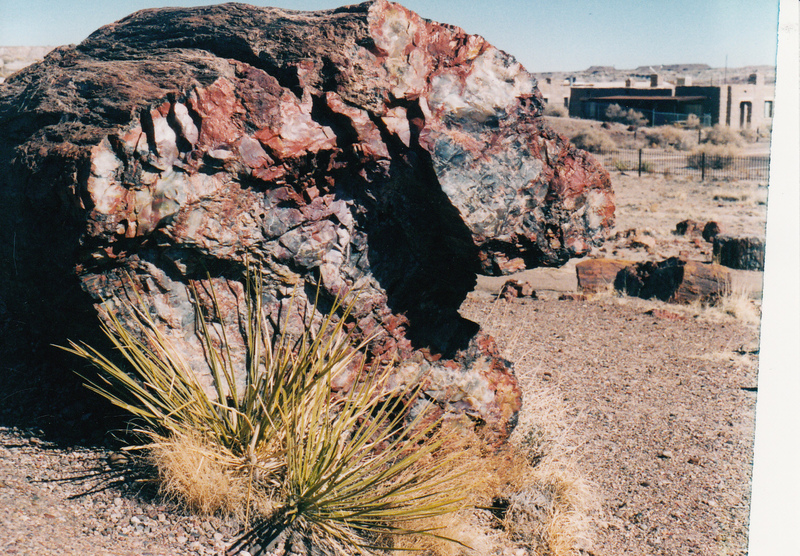 Fossil remains of nearly 100 species of the Late Triassic period have been found throughout the petrified forest. The most abundant fossilized material is the wood of huge trees, estimated to have reached a height of 200 feet. 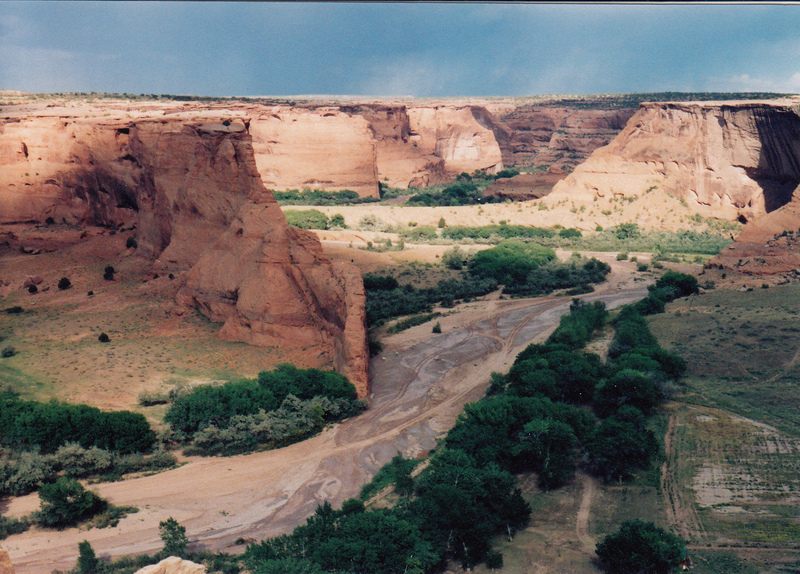 Most of the petrified wood littering the park’s Chinle formation belongs to a distant member of the Auracaria family. These pine-like trees grew in primeval forests at the headwaters of streams south of the present-day park. Streams carried them to their present location, then buried them in sediment. 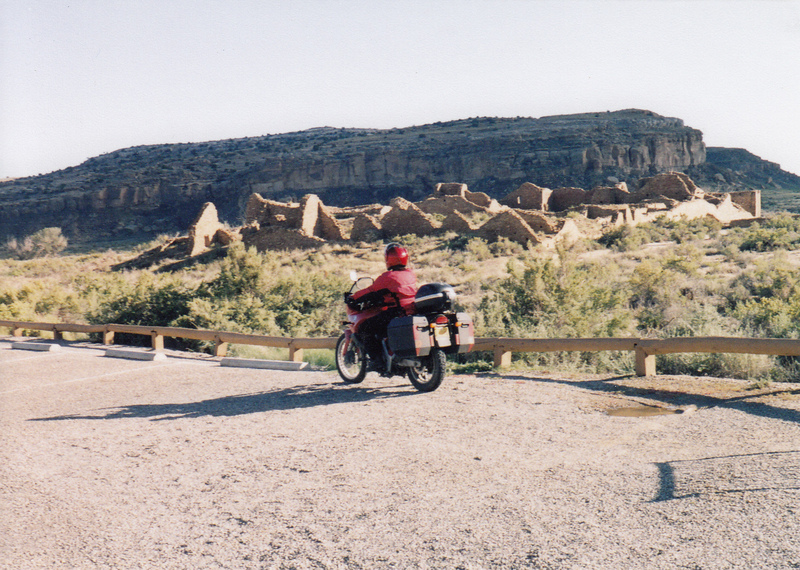 Subsequent erosion of the landscape by water and wind eventually revealed wood chunks that had turned to stone. It’s difficult to picture the tropical lowlands of yore in the high altitude desert starkness of present-day Petrified Forest. After traveling all day, we faced the camper into a stiff wind at Lyman Lake State Park, only a few miles east of Petrified Forest. Low clouds threatened, and by dark the sideways snowfall began. All night the wind shook our vehicle. We played Yahtzee hunched close to the little electric heater, grateful for the miracle of campground plug-ins. In the early morning light, I looked outside at a world pained white. A skein of ice topped the puddles and lake edges. An inch of snow had fallen. The weak January sun rose bravely. I left footprints in the snow all around the campground loops and made sandwiches. 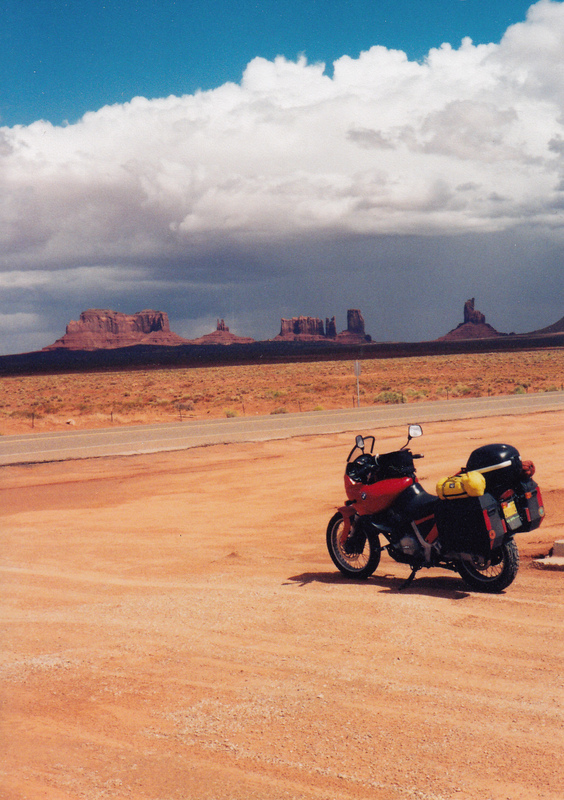 “If you don’t like the weather, wait five minutes,” residents of the Southwest are fond of saying. In this case it was more like two hours, but by mid-morning we made our way from the campground to the highway. Passing vehicles had reduced snow on the highway to wet slush, so the route into the park was easy going. When we reached Rainbow Forest Museum late in the morning, a whopping twelve people had signed the day’s guest register before us. Three of them wandered around in the museum. Two more walked on the Giant Logs trail. The other seven, who knows? Perhaps they beat feet to Yuma. 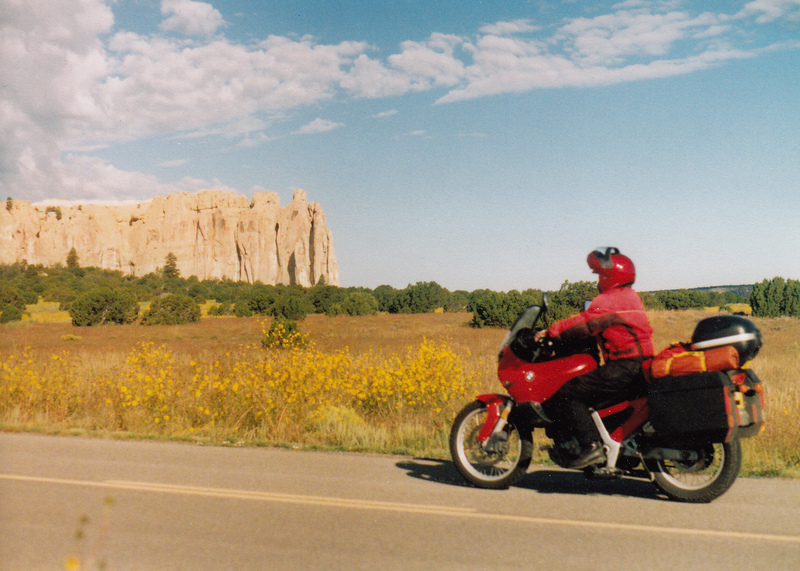 The temperature climbed to 34 degrees as we drove north under a severe clear sky as blue as lapis. Each pullout and each trail we had to ourselves. At Lacey Point, a red tailed hawk coasted noiselessly above us, searching for movement on the pain that might equal a meal. A pair of antelopes grazed the sparse grasses. The low angle of the sun cast long shadows into the arroyos, preserving snow wherever the rays of sun could not reach. Snow patches exposed to sun dissolved silently, absorbed into the desert soil like a sponge. A lone raven perched near us in an otherwise empty parking lot and cawed his displeasure that we weren’t leaving any morsels for him. 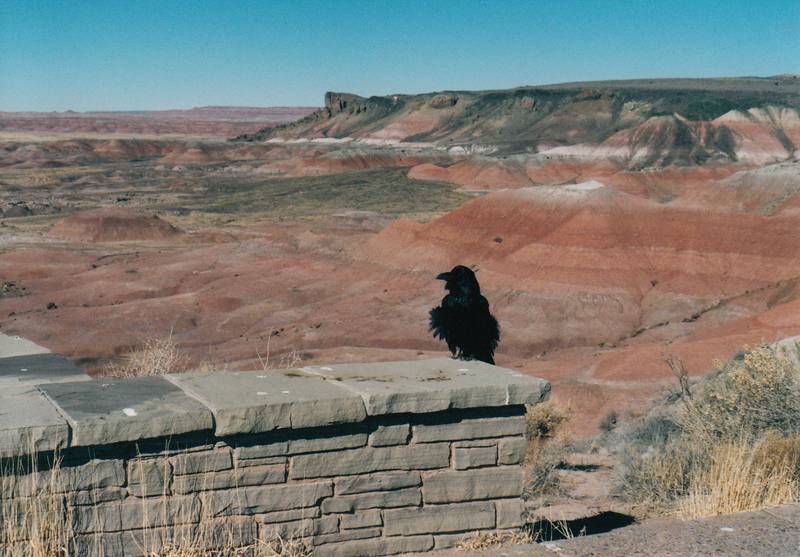 Petrified Forest receives over half a million visitors per year, most during the summer months. Summer temperatures often exceed 90 degrees and since the park is essentially desert, there is little shade. Private vehicles compete with tour busses and RV’s on the park’s narrow road. A long line awaits a thirsty visitor at the drinking fountain. The change of seasons restores peace to Petrified Forest. The park is open every day except Christmas, but in the off-season the number of people driving through shrinks to a tiny trickle. Parking areas for the roadside attractions seem impossibly immense to a winter visitor. Trails are deserted, or nearly so. An off-season walker need not even depart from the paved pathway in order to spend a few minutes in solitary meditation beside one of the massive petrified logs. 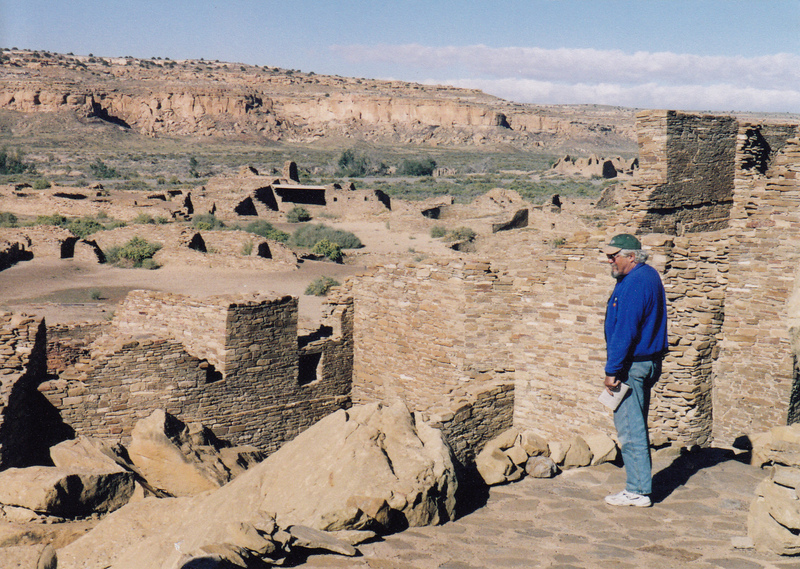 Though Petrified Forest is most well-known for its fossils and its sublime views of the Painted Desert, it’s also a protected haven for Indian ruins and petroglyphs. Park archeologists have completed inventory on over 500 archeological sites within the park boundaries. 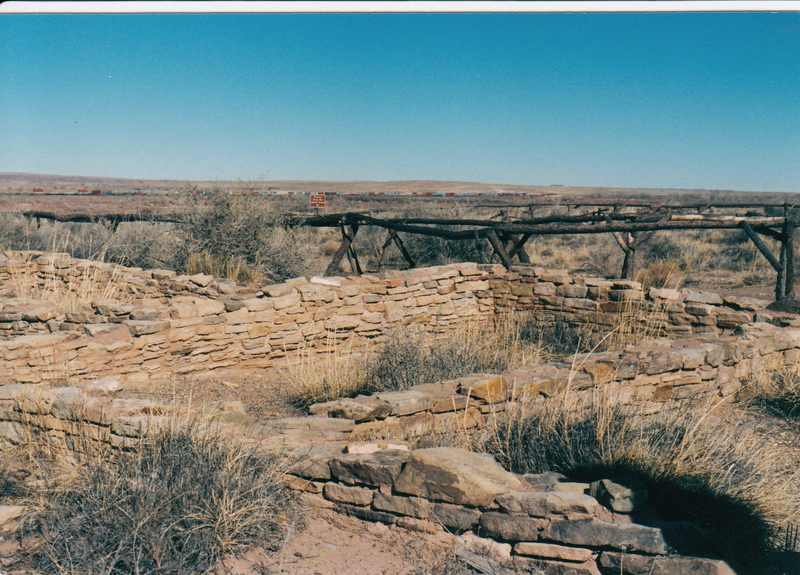 Some, like Puerco Pueblo and the Agate House, are dwelling sites which were occupied 700 to 1500 years ago. 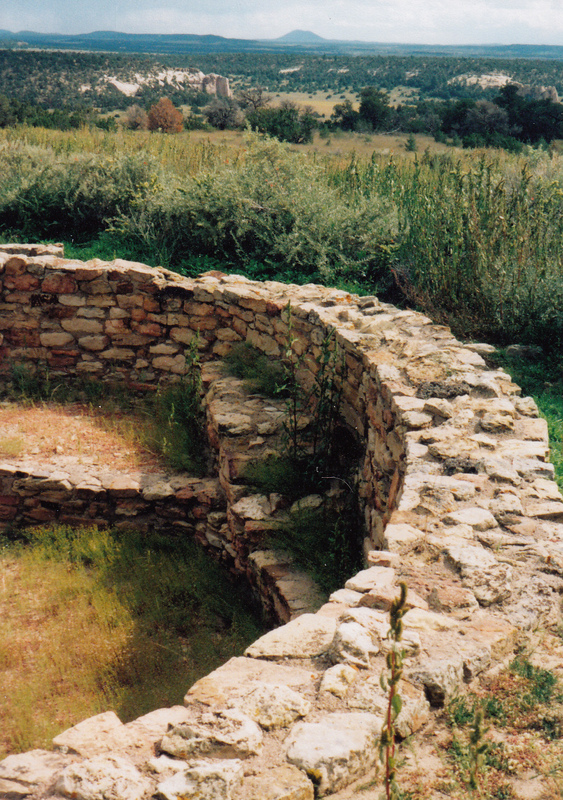 Pottery, tools, and other artifacts have been recovered from these sites, helping archeologists reconstruct details about the daily lives of the ancient park residents. 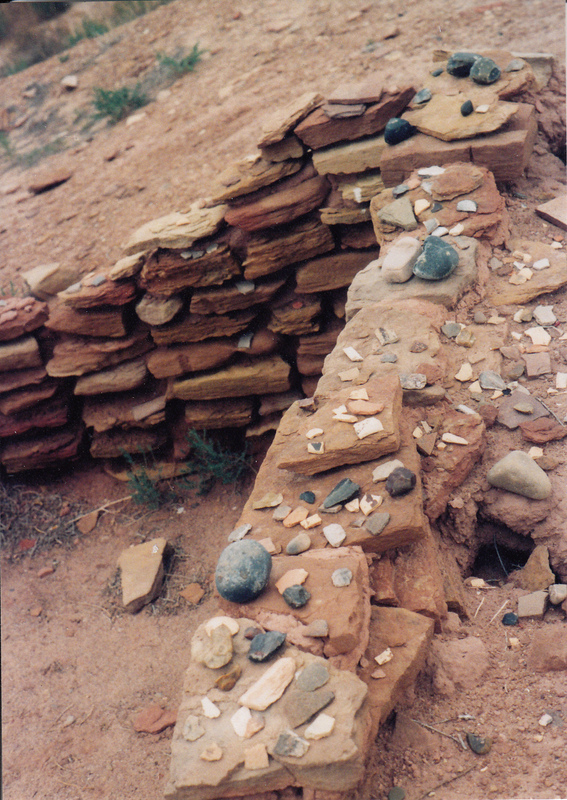 The ancient native people of the Little Colorado River region also left permanent, but cryptic, records of their occupation chiseled on flat slabs of sandstone. 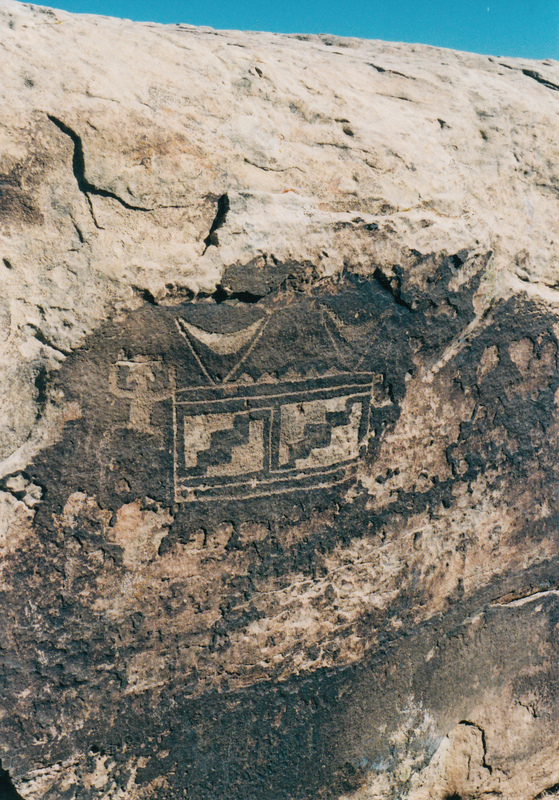 Petroglyphs in the park, some of which are visible from turnouts along the park road, include figures of humans and animals, as well as geometric patterns of unknown meaning. Researchers in the field of archeo-astronomy have deduced that some petroglyphs were chiseled to mark important annual events such as solstice, equinox, and the start of the frost-free growing season. 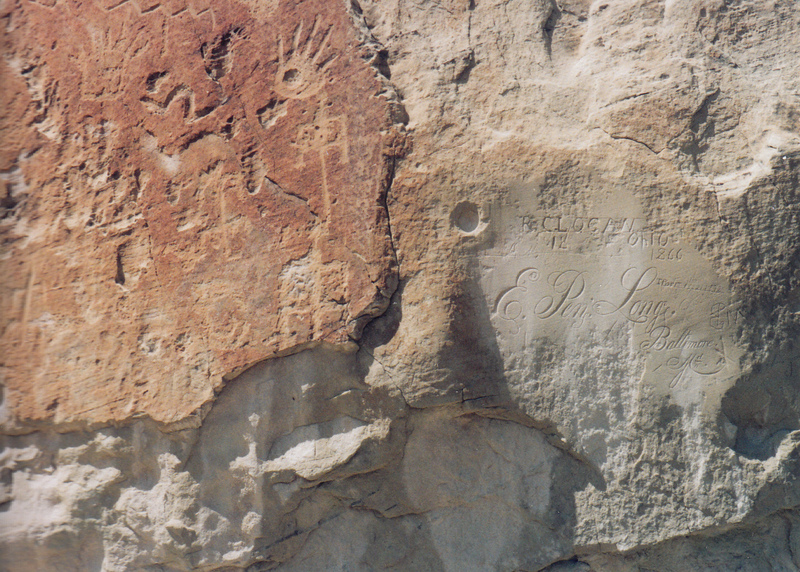 Shadows or sunlit images move across spiral petroglyphs and pierce the center to mark those dates. This phenomenon occurs elsewhere in the Southwest, but Petrified Forest National Park contains the largest known concentration of ancient spiral calendars carved into the rocks. Rangers do not lead hikes to the calendar sites on the winter solstice as they do in the summer. But if you ask ahead of time at the Visitor Center, you might be able to get directions to one of the sites on December 21. 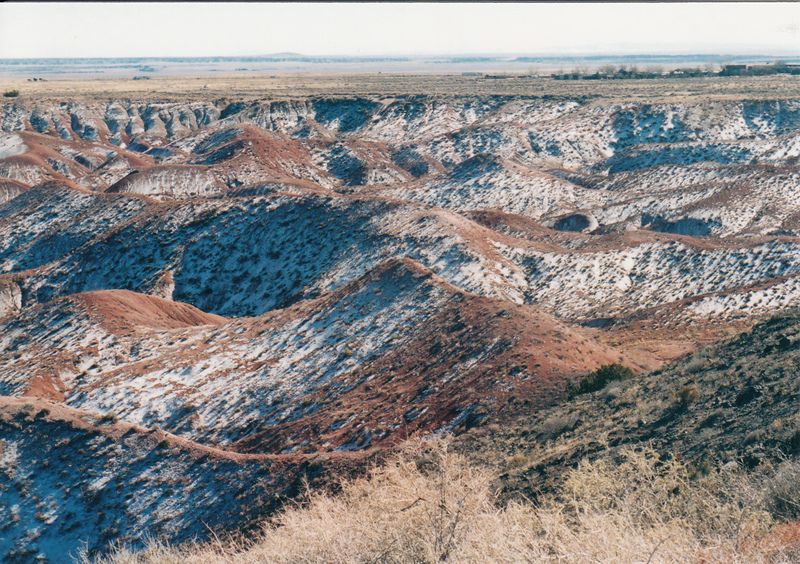 Windswept and empty, Petrified Forest off season offers the visitor a chance to reflect upon the forces of time and nature which created the colorful hills, erosion-sculpted rocks, and silent fossils. It also provides a chance to walk off the paved roads, walk in the high desert, and discover secret messages captured in mysterious rock art figures. It’s well worth the couple-hours-long detour off Interstate 40 to take the long way round through Petrified Forest National Park, but be forewarned: you might end up wandering around there all day.